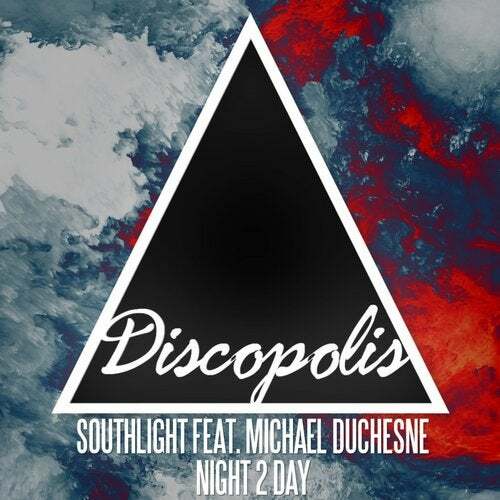 Discopolis Recordings are proud to present the sensational second single from Australian duo Southlight! Southlight is the House & Nu Disco project of Andrew Young and Damien Goundrie. Damien and Andrew met at SAE Sydney - where Damien teaches Electronic Music Production and Andrew studied. Wanting to take their music and production skills out of the classroom and onto the dance floor, Damien and Andrew formed Southlight. Southlight is fast becoming one of Australias most sought after house production teams - recently producing tracks for Inaya Day, John Devicchis, Shaun Warner, Mystery Blonde, Bobby Blaze, Abel El Toro and Reel Sessions. Deep, musical and original, Southlight creates quality music for before, during and after the dance floor. The official follow up to their Traxsource Top 100 single "Element", Night 2 Day features the vocal stylings of Michael Duchesne with a hypnotic Deep House bassline and spine tingling breakdowns that make this a memorable, original house experience. The remix pack includes Hed Kandi resident DJ Dan Van and fellow Australian artists Shaun Warner and Rouge!